New Item Skruba Gloves are a luxury that everyone can afford. Thoroughly cleaning your vegetables is the first step to preparing a healthy and delicious meal. With Skruba Gloves cleaning is easy and fun. Simply put on the gloves and rub them against your vegetables. 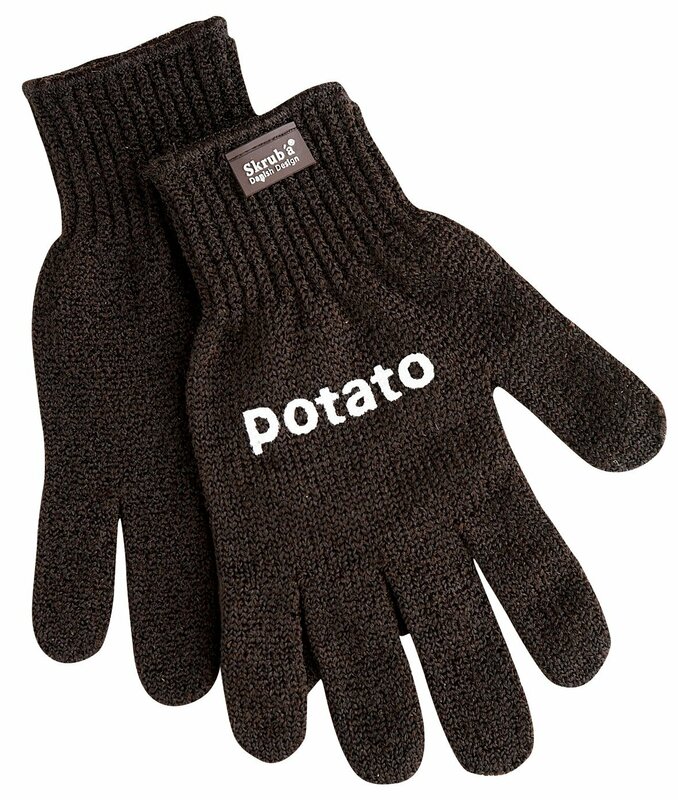 There are three types of Skruba gloves, one designed for potatoes, carrots, and other vegetables. Each specific Skruba glove is precisely engineered to a specific level of abrasiveness to remove dirt and grime for a specific type of vegetable. You will discover that Skruba Gloves are easier to use than vegetable brushes because both of your hands can simultaneously clean each vegetable - with a brush only one hand is used to clean the vegetable while the other hand simply holds the vegetable. So not only will you save time with Skruba Gloves, your cleaning job will be easier and more thorough.